Five Star Equipment just completed its first John Deere 524L wheel loader sale to Ridgebury Township of Bradford County, PA. The 524L is a part of John Deere's brand new 50th anniversary wheel loader line. The L-Series introduces many new features, including bucket shake, fully programmable electro-hydraulic (EH) joystick controls, a redesigned boom for more visibility and a redesigned cab and seat to provide comfort and ease of operation. “Having all of the controls right in front of you is a nice change rather than twisting for controls behind you. The EH controls will allow us to create settings for each operator. The bucket shake feature will also come in handy,” said Bob Leonard, Ridgebury Township road foreman. The L-series also includes John Deere redesigned fork locks as well as integrated spill guards and curved side cutters for their buckets. Ridgebury Township previously owned a loader and once it was out of service, they were considering a new loader replacement. When Five Star Equipment presented the features of the 524L and offered to loan a 524K until the arrival of the new loader, the decision was simple. “The loan of a 524K until the 524L was ready made a huge difference. Five Star promised to keep us in business while we waited,” said Scott Phillips, Ridgebury Township supervisor. With the addition of the wheel loader, Ridgebury Township now has a complete John Deere fleet including a motorgrader and backhoe. 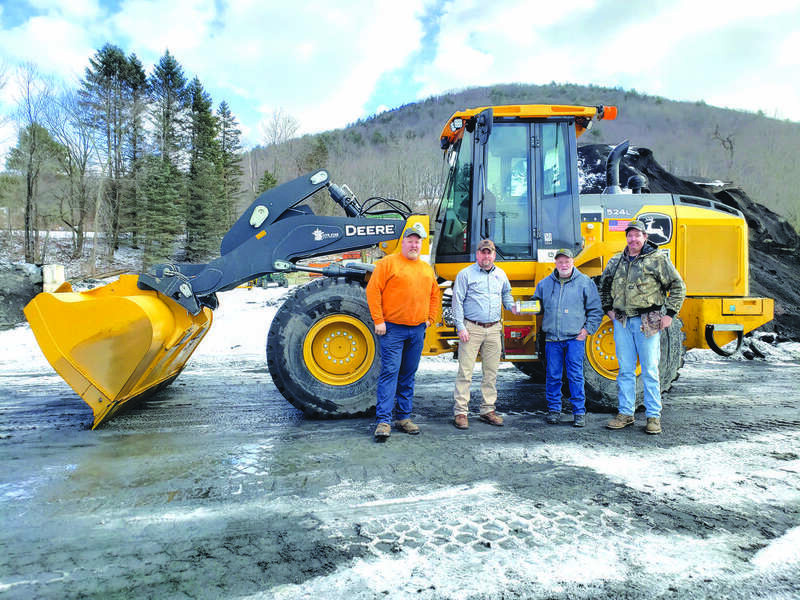 “It'll be nice that we can now use all John Deere service items like filters and fluids, since we already use them for the grader and backhoe, everything will be the same,” said Phillips. Five Star Equipment utilized the services of longtime customer Consolidated Resources of Sayre to transport the wheel loader from its Athens branch to the Ridgebury Township municipal building.